Which Football FaceMasks Are Legal? Football facemasks used to be a single bar that protected the face. Today, we see all various types of face masks. Which football face masks are legal? Facemasks that are clearly see through and offer a complete visible view of the face are legal. Face masks that void the visibility will be removed by the referee. It’s hard to imagine playing football without a face mask, or even a helmet, but that is exactly how the game use to be played. Football initially started like the game of rugby (rugby is one of football’s long lost ancestors). Players were in tight formations, trying to overpower one another. The giant scrum of players had plenty of kicking, elbowing and stomping. Players often got caught in the middle of the scrum and broke fingers, legs, and arms – similar to what we see in today’s game. However! The head was never protected. The low velocity of the players in the scrum didn’t necessarily include high impact hits. We also didn’t have the science and the technology that players and teams have today, to ensure that player safety is a number one priority. 1893: To be fair, the exact date and to whom the credit is deserved is not clear. However, we do know that in the 1893 Army-Navy game Admiral Joseph Mason Reeve wore one. The old story is that he had apparently been kicked and hit in the head so many times, his doctor told him that another hard impact could lead to “instant insanity.” Reeve went to his shoemaker and had him fashion a thick hat with flaps to cover his ears. Thus, the helmet was born. 1953: The Cleveland Browns quarterback Otto Graham is knocked out of a game follow­ing an elbow to the face. The team’s trainer attached a single bar to Graham’s helmet that ran across his face to protect him. After the game, a more formal design was created and all Cleveland players were required to wear the single bar masks. Almost immediately, other NFL teams follow suit. 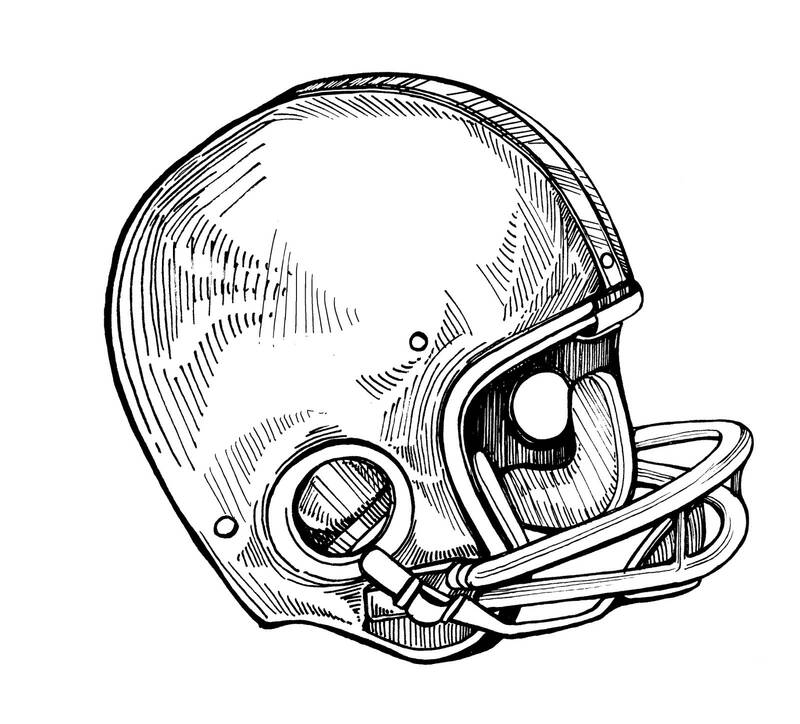 1955: The NFL makes the single bar face mask a requirement for all players to wear. It is most noteworthy, that most players were voluntarily wearing them anyway. 1960’s: Different phases of improving the face mask start in this decade. The bar is moved to the bottom of the helmet and it now has 2 bars to cover more of the face. 2000’s: We begin to see what we we see on fields across the country today. 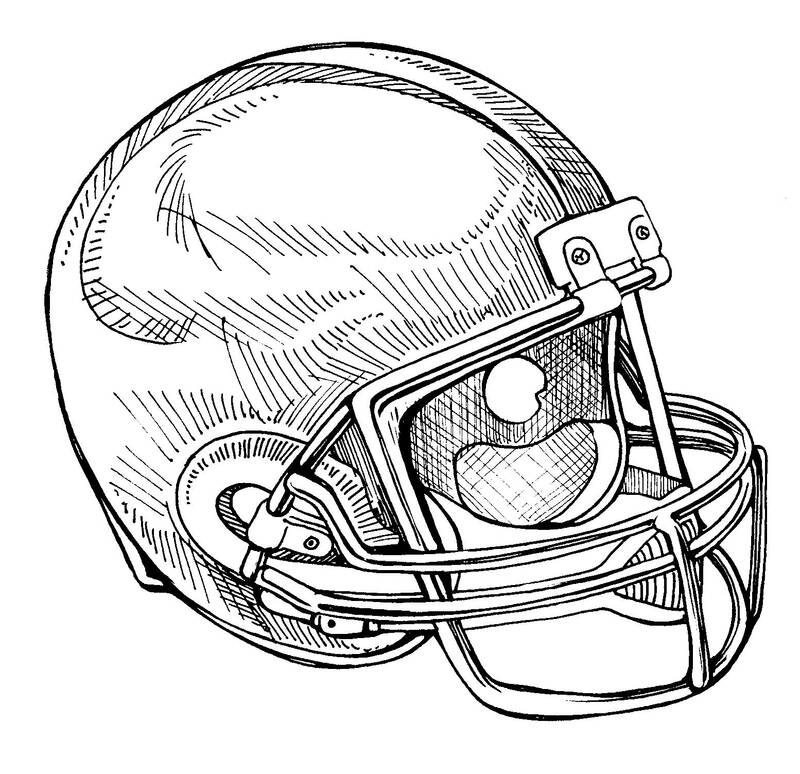 That is, most players are wearing a variation of what is depicted below with some lineman sporting a vertical bar. 2004: The NFL formally bans single bar helmets, but some players were grandfathered in. This exception is only for kickers who preferred the visibility over the safety. Ultimately, the last single bar helmet appears on a professional field in 2007. Football helmet continue to evolve each year. As technology improves, so does the style of helmets. Riddell introduced their new Speedflex helmets which have a soft padding sweet spot on the top of their helmets. The Schutt F7 VTD helmet also provides a natural comfort fit with the new Tectonic Plate 3DM system. The tectonic plate system is the rectangle outer core technology that supports with head collisions. This helmet shell is shown without the face mask. 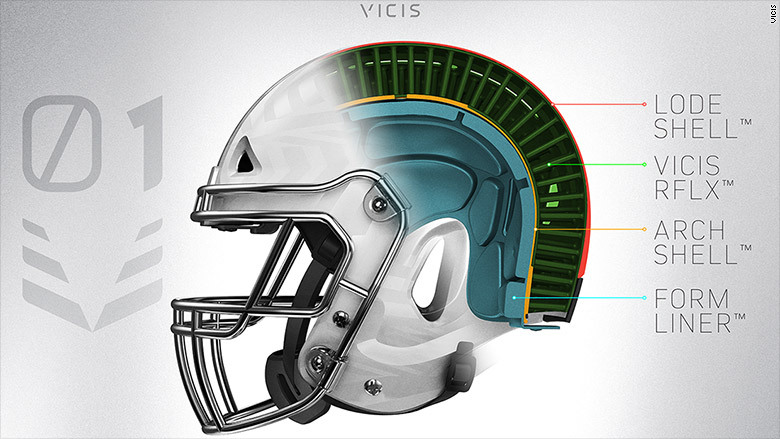 Another popular helmet on the market is the Vicis Zero1. 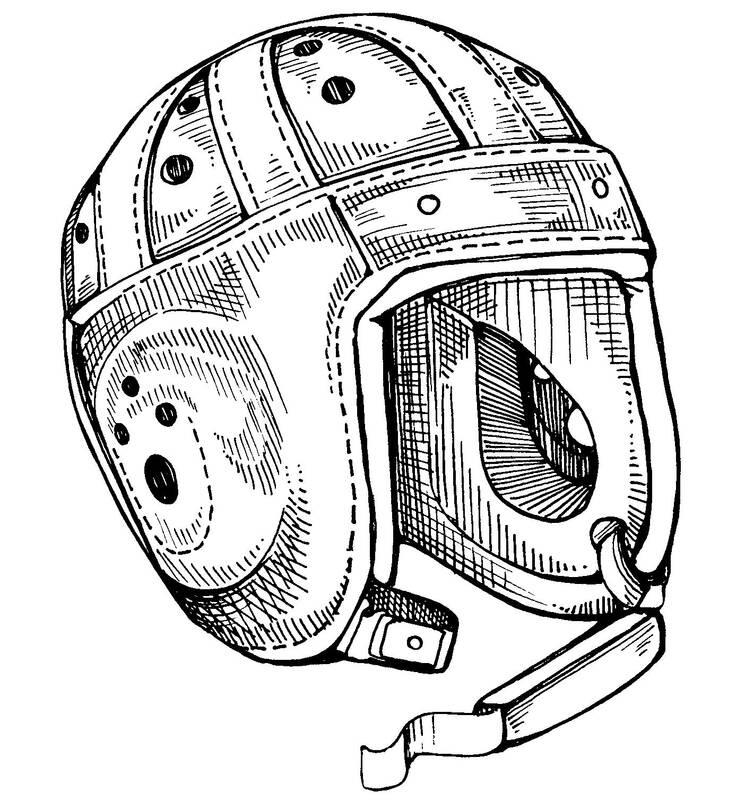 Traditional helmets use a hard shell and a protective bladder to help secure the skull. The Vicis Zero1 however, uses a shell, their patented technology, another shell and a form liner. Although this hasn’t been proven to completely reduce concussions, it’s certainly paving the path for helmets to be more secure. Have you tried any of the new helmets on the market? What is your favorite and most secure helmet? Answer in the comment section below! The NCAA and NFHS have also ruled against having dark tinted visors as well. The reasoning was for the risk of a player being unconscious, the training staff needed to be able to look inside of the face mask. Here is an example of how trainers aren’t able to see inside of the face mask because of the black tint of the visor. However, the lighter or the smoke color visors are still legal. Although, it’s to the referees discretion if the player can wear it or not. In 2016, the NCAA also ruled against having multi-bar face masks. This was for the fear of getting fingers caught in them, as well as training staff support. When we say “multi-bar”, not the common face mask that players commonly wear today. 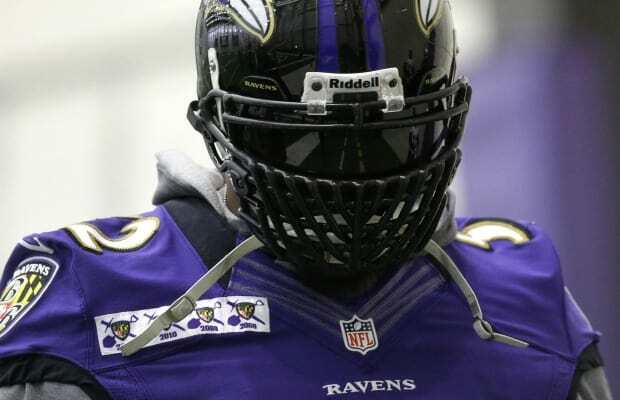 Rather, reference the image above where the mouth of the face mask looks looks wired rather than straight bars. Do you think the face masks should add more bars like they used to? Do you agree with the tinted visor rule and/or do you have any questions about face masks or our timeline? Let us know your thoughts in the comments below. What Are Football Facemasks Made Of? Football facemasks are made of a hard plastic that is molded to fit different positions. Do Different Football Positions Have Different Facemasks? Typically quarterbacks and skill players have less bars on their facemask for visibility purposes. Offensive and defensive lineman will have more bars on their facemask to protect from accidental fingers and hands.